BBVA is a customer­ centric global retail financial group founded in 1857 that provides its customers around the world a full range of financial and non­financial products and services. 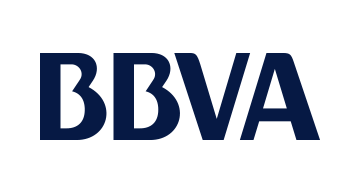 BBVA enjoys a solid leadership position in the Spanish market is the largest financial institution in Mexico (BBVA Bancomer) and has leading franchises in South America and the US Sunbelt (BBVA Compass). Additionally, it has a relevant banking presence in Turkey (through Garanti Bank) and operates an extensive branch network worldwide. The Group’s vision is defined as “creating opportunities”, while the overall goal is to establish lasting relationships with our customers.